Clark International Airport (pampanga) is the closest airport to Las Casas Filipinas de Acuzar in Bataan, with only 1 hour and a half by car travel time. We suggest taking a flight to Clark International Airport on March 31 FOR THE EASTER WEEKEND (or arrive day earlier if you prefer), and we can ensure that a shuttle bus or a car can pick you up. 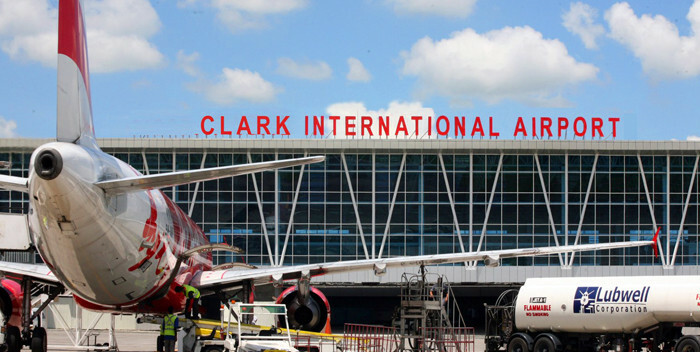 WE SUGGEST BOOKING YOUR OUTBOUND FLIGHT FROM CLARK INTERNATIONAL AIRPORT TO SAVE TRAVEL TIME. Emirates and Qatar Airways fly daily into CLARK while Singapore Airlines and China Eastern fly frequently as well. NINOY AQUINO INTERNATIONAL AIRPORT (NAIA) is the BUSIEST AND THE MAIN AIRPORT IN THE PHILIPPINES, WITH FOUR TERMINALS WITHIN THE CITY CENTRE. TRAVEL TIME FROM NAIA TO LAS CASAS FILIPINAS DE ACUZAR IS 3 HOURS BY CAR. ALMOST ALL MAJOR AIRLINES FLY INTO NAIA. WE SUGGEST BOOKING A FLIGHT INTO MANILA TO SEE ART FAIR PHILIPPINES AND EXPLORE THE VIBRANT ART SCENE OF MANILA. WE SUGGEST BOOKING YOUR OUTBOUND FLIGHT THROUGH NAIA AS THERE WILL BE A TALK AND A DINNER AT BELLAS ARTES OUTPOST ON APRIL 2 (MAKATI, METRO MANILA). SOME AIRLINES THAT FLY INTO NAIA: CATHAY PACIFIC, EMIRATES, QATAR, ETIHAD, EVA AIR, SINGAPORE AIRLINES, AMERICAN AIRLINES, DELTA, ETC. DIRECT FLIGHTS ARE AVAILABLE TO AND FROM LONDON, SAN FRANCISCO, ISTANBUL, LOS ANGELES, SYNDEY, MELBOURNE, DUBAI, DOHA, VANCOUVER, ETC.